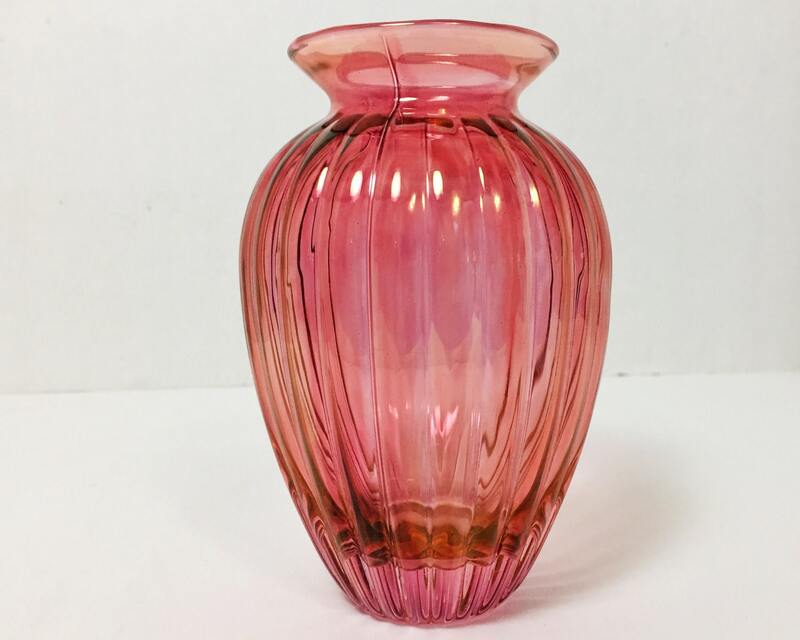 This is a lovely molded cranberry stain glass vase that has been stained or flashed (I can't tell the difference visually between the two techniques but flashed is a thick layer) with cranberry glass for that beautiful cranberry red hue with the iridescent golden sheen over the surface. 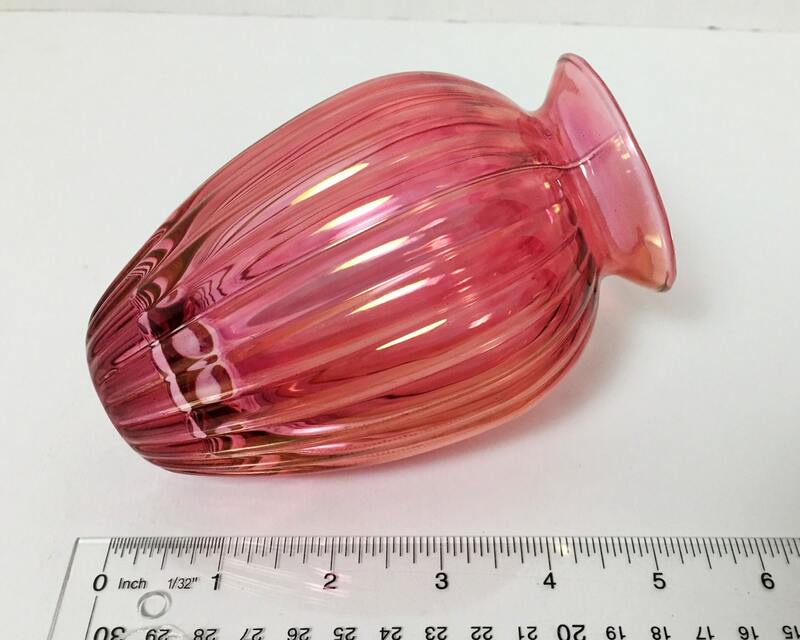 This is a smaller ribbed vase, but with a nice balance to the overall design. 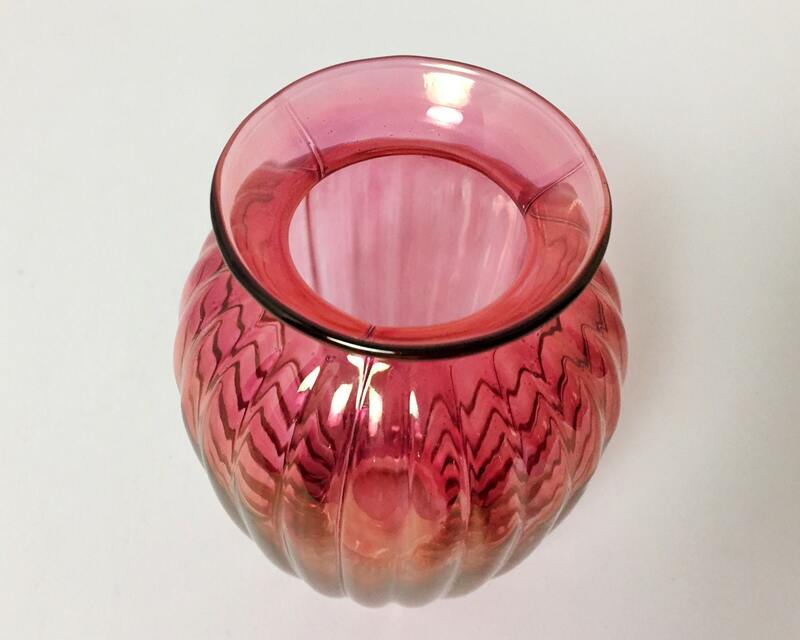 True cranberry glass is made by putting gold in the glass, and that is expensive, so a less expensive alternative is to 'stain' or 'flash' the glass with a coating of the cranberry. 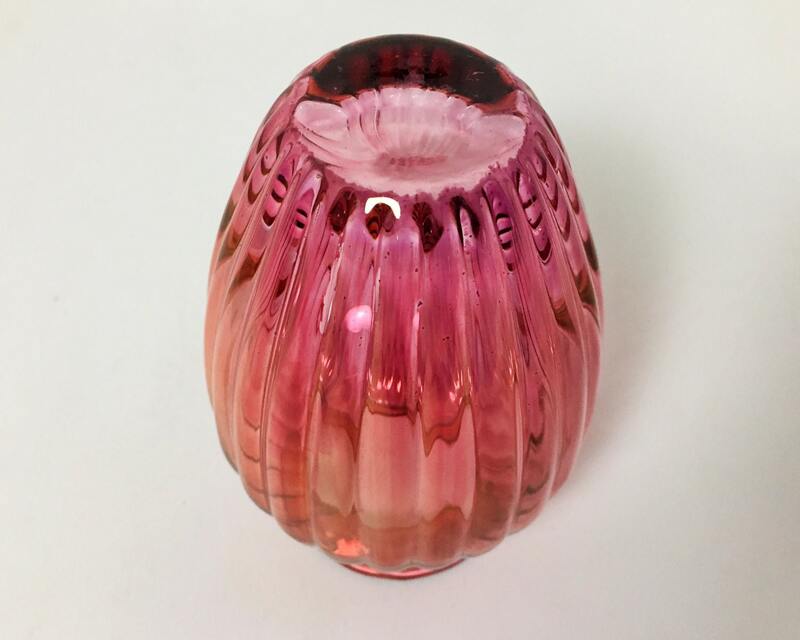 The staining is only apparent if you hold the glass up to the light, and you can see the marks and bubbles from when the coating flowed over the surface. 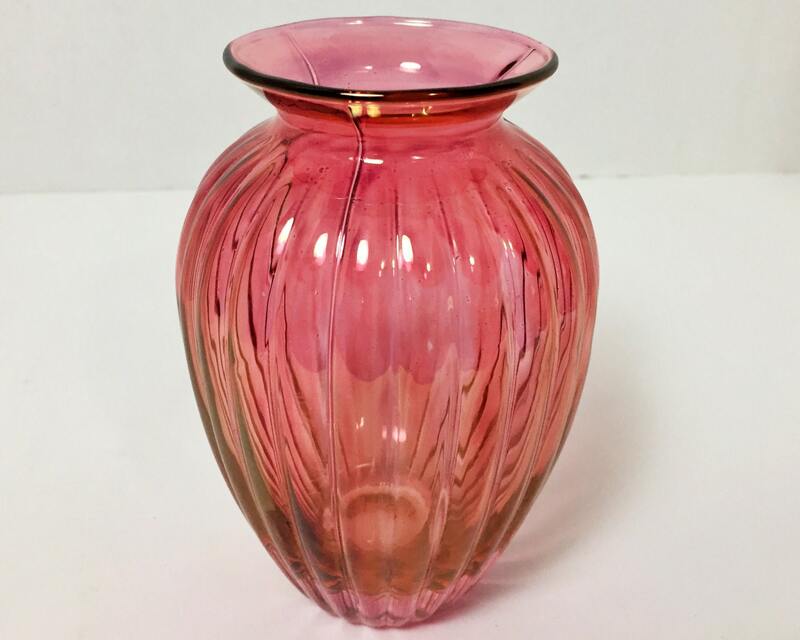 I have no idea the true age of this piece, but it is a very handsome vase that glows with color. CONDITION: Excellent with no chips, cracks, nicks, or scratches. Please view the close up to see the 'staining'.